There is coverage today of the National Audit Office (NAO) report on managing the Official Development Assistance target. The report looked at how the UK’s Official Development Assistance (ODA) is being managed across all government departments, including the Department for International Development (DFID). Much of this coverage has recognised the NAO’s positive assessment of DFID in the report, including its view that the department has improved its management of ODA and is using its ODA budget more smoothly throughout the year. DFID is responsible for 74% of the government’s ODA spending. Other government departments have direct responsibility for their share of the development budget and are accountable to Parliament and UK taxpayers for how they spend ODA. The International Development Secretary continuously reviews all DFID spending and stops programmes deemed not to be delivering value for money or which fail to meet international development objectives. 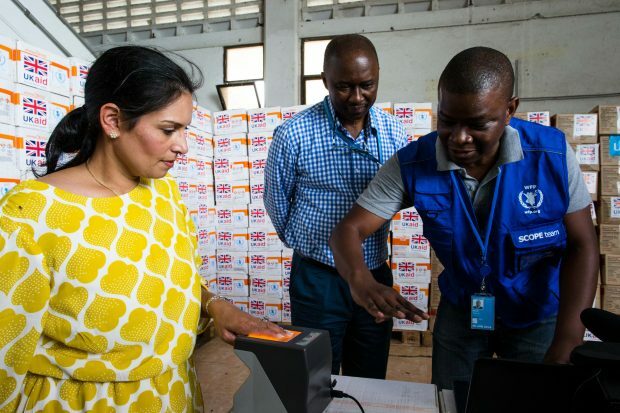 The Secretary of State for International Development, Priti Patel, is driving a robust value for money agenda that includes a line-by-line review of all DFID ODA spending, a crackdown on profiteering suppliers, efficiency savings, and increased use of payment by results. The NAO rightly praises DFID.‎ Priti Patel expects every government department that spends aid money to do the same. DFID is sharing its tough approach with other government departments who spend ODA to make sure they can apply the same approach. The Telegraph headline claims that “Aid cash wasted in rush to hit targets”. This claim is not substantiated by the report. The NAO report doesn’t say that ODA is being wasted. The Mail Online headline states: “up to 98% of budgets handed out in three months”. This is misleading as only one department spent 98% of its budget in three months. The Mail Online also writes that “the cash pot is now so large – £13 billion a year – that DFID is asking other ministries to help dole it out”. This is untrue – the government’s UK aid strategy sought to increase the amount of ODA allocated to other government departments, and DFID is not asking departments to ‘help’ spend ODA. The Times has focused on the use of promissory notes. Contrary to the suggestion that billions of pounds of British aid is “lying unused by international development organisations”, the use of promissory notes allows DFID to meet its funding commitments whilst avoiding large cash balances sitting unutilised within multilateral organisations. Promissory notes allow us to make the long-term funding commitments that are needed for life-saving work, such as HIV/AIDS antiretrovirals, without having to provide all the cash up front – they are the smart, sustainable, value for money approach. Promissory notes give us flexibility in the system that we need to ensure UK aid can be used when humanitarian emergencies hit. The investment is not completed until projects have delivered against agreed objectives and this ensures that value for money is not compromised. The Express online headline says: “Government ‘SCRAMBLING to hit targets' as overseas spending soars”. This quote is not supported by the report, or the text of the Express article.